If your employer doesn't offer a 401(k) or you've maxed out your contributions, an individual retirement account may be a good way to save for your retirement. IRAs allow you to make contributions on a tax-deferred basis and the money you save will grow tax-free until you withdraw it. IRAs come in two flavors: the traditional or Roth account. There's also a third option called an IRA CD, which combines features of the IRA with a low-risk financial instrument called a certificate of deposit. When you open a traditional IRA, all the deposits or "contributions" you make to the account are tax-deferred. In other words, your contributions are tax deductible, which lowers your taxable income. You only pay tax when you start making withdrawals from the fund at retirement. Since most people have less income when they retire and thus pay taxes at a lower rate, this tax deferral should result in considerable tax savings. You can only put so much into an IRA each year. For 2018, the contribution limit is $5,500 plus an additional $1,000 for savers over age 50. For 2019, these limits will rise to $6,000 and $7,000 respectively. There's no penalty for withdrawing the cash in your account after you reach age 59 1/2. If you take the cash out before then, you'll forfeit 10 percent as an "early withdrawal penalty." You also have to pay taxes on the distribution. There are a few caveats, for example, you can withdraw some cash penalty-free to purchase your first home or for qualifying medical expenses. A Roth IRA works just like a traditional IRA except the tax deferral happens in reverse. So, you fund the account with after-tax dollars – which means that you won't get a tax deduction for your contributions – but your earnings from the IRA will be tax-free as long as you follow the rules for withdrawal. Annual contribution limits are the same as for a traditional IRA and the same early withdrawal penalty applies if you take money out before age 59 1/2. Roth savers have an additional hurdle to leap, however, in the form of income limits. For the 2018 tax year, single filers earning $120,000 or less annually can contribute the maximum amount to their Roth IRA. The contribution limit tapers off for those with an annual income between $120,000 and $135,000, and you cannot contribute anything once you earn $135,000 per year. A certificate of deposit, or CD, is a type of restricted-access deposit from a bank, credit union or other financial institution. Basically, you hand over your cash for a fixed period of time in return for a specified rate of interest. The period usually runs from a few months to a few years. The idea is that you do not withdraw your money until the certificate matures. If you do, you'll be stung with an early withdrawal penalty which usually amounts to a few months' worth of interest. Once the CD matures, you can either cash it out without penalty or roll it over for a new term. Because the bank is using your money, you are paid interest. Rates are generally higher than for a regular savings account. The more money you put into your CD, and the longer the term, the higher your rate will be. This means a bigger return on your investment. An IRA CD is actually just a plain old CD. The only difference is, you're buying the CD with the funds you have in your retirement account. If you invest all the funds in your IRA in CDs, then the IRA becomes an "IRA CD." It's that simple. Some banks offer certificates of deposit called "IRA CDs" with longer terms of five to 10 years. But you can put any CD you want into an IRA; it does not need a special label. The interest you earn on the CD gets added to your IRA account on a tax-deferred basis. When the CD matures, everything in the account, including the accrued interest, automatically gets rolled over into another CD – and so on, and so on, possibly for decades, until you reach the age of retirement. You generally can stop the automatic rollover at each maturity date and use the money to purchase stocks, bonds or mutual funds to be held in your IRA instead, or even just keep the money in the savings account until you decide what to do with it. 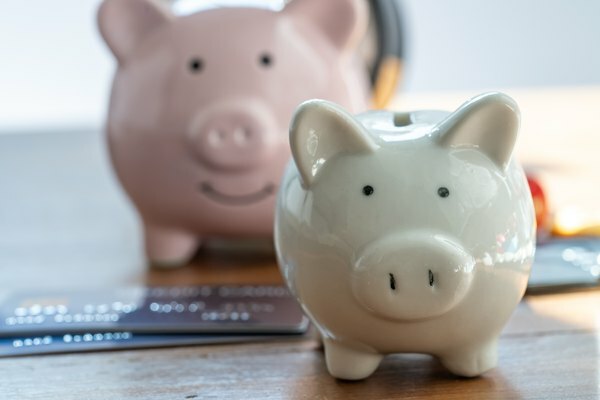 Contribution limits: You can deposit as much as you like into regular CDs, but an IRA CD is subject to the same limitations on contributions as a traditional or Roth IRA. So, you're restricted in how much you can invest. Early withdrawal penalties: Early withdrawal penalties apply to both regular CDs and IRA CDs. But, whereas a CD penalty will sting you for a few months' worth of interest, taking the money as part of an IRA withdrawal will also trigger penalties and taxes related to your retirement account. Interest rates: Some banks make IRA CDs more attractive by offering higher rates than you'd get with a regular CD, usually in exchange for a longer term of, say, seven to 10 years. To give this context, the best rate for a one or two-year regular CD caps out around 2.9 percent in November 2018. A five-year IRA certificate, on the other hand, might offer 3.2 percent, or 3.5 percent if you invest $100,000 or more. Who Should Invest in an IRA CD? Like all cash products, CDs are a low-risk investment. As long as you open an account with a Federal Deposit Insurance Corporation-backed institution, your CD is insured for up to $250,000. So even if the institution goes bust, you won't lose your retirement fund. Having a portion of your retirement account in CDs can also add predictability – grab a calculator and you can figure out exactly how much interest you'll earn and when. This level of certainty can be quite reassuring, especially if you are nearing retirement age and want to avoid losing some of your gains to a stock market downswing. The major drawback with an IRA CD is you may be missing out on higher yields down the road. In the world of investing, playing it safe is never going to offer great returns. You almost certainly will get a better rate than you would with a high-yield savings account, but that bar is set extremely low. There's a good chance you won't build wealth fast enough to meet your retirement goals if the only investments you hold in your IRA are CDs.